New South Wales will be the first state to fund a dedicated build-to-rent model, Minister for Social Housing Pru Goward revealed on Friday. The minister revealed that a Communities Plus housing site in Redfern would be home to the nation’s first ever build-to-rent housing model. The Redfern site, opposite Redfern Oval at 600-660 Elizabeth Street, has been nominated as the location for the development of the government’s affordable housing model, which will integrate social housing with housing supply for the broader community. In April, the South African-listed Investec registered interest in the 600-660 Elizabeth Street site with the NSW Communities Plus program. Investec was the first developer to flag interest in the expensive New South Wales market after completing a "rent-then-buy" affordable housing project in Adelaide for 86-dwellings. The NSW government’s model allows the state to retain valuable state-owned land while investors build and manage the site under a long-term lease. “Under this innovative approach, we are able to provide government-owned land to investors under a 40-year lease and at the end of the term, the asset is retained by the government,” Minister Goward said. 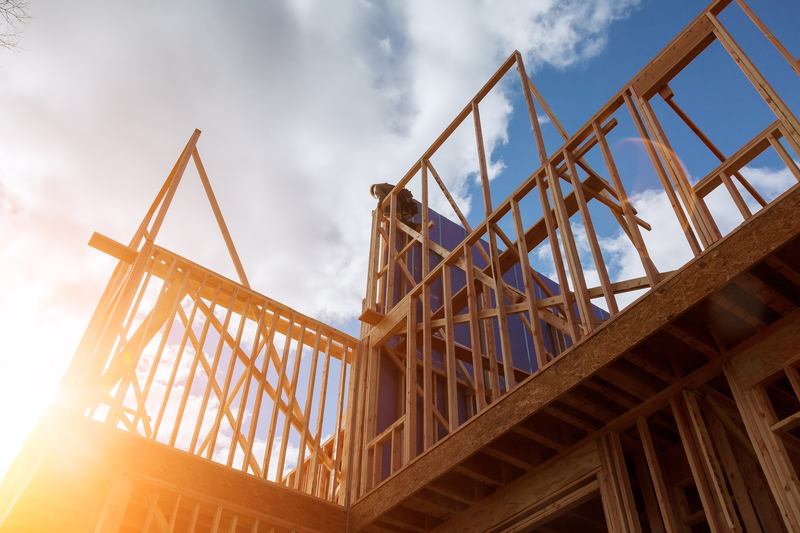 It is expected that the NSW government will de-risk the project by supporting a planning approval that provides the amount of floor space that will be required to make the project financially viable. NSW Federation of Housing Associations chief executive Wendy Hayhurst welcomed the announcement. “Mixing build to rent, social housing and affordable housing together in a well-designed, planned way is exactly what’s needed to create lively, sustainable and diverse communities. Under a private-public model, it is likely that 70 per cent of the houses will be market housing with the remainder allocated for social and affordable housing. Over the next 12 months, an expression of interest and request for proposal process will be carried out to appoint a development partner for the site. The expressions of interest process will commence later this month. The $22 billion NSW Communities Plus program expects to deliver 23,000 social and 500 affordable homes by 2026. As home ownership rates continue to plunge, Australia’s build-to-rent model has become increasingly viable. Over the past quarter century, the number of renters has increased by more than 1 million to 42,600 new rented dwellings each year, according to a recent Knight Frank survey. The report revealed that 64 per cent of Australian renters expect to still be renting in three years’ time. “The survey findings highlight a change of sentiment in Australia away from home ownership and a lean towards renting,” Knight Frank director of research Paul Savitz said. Knight Frank residential capital markets director Tim Holtsbaum said that the Australian findings of the report mirrored Knight Frank’s UK report surveying more than 10,000 tenants annually. “The US and UK are notable examples of where large-scale investment into build-to-rent has thrust the sector into a mature and desirable asset class – albeit relatively low yielding. 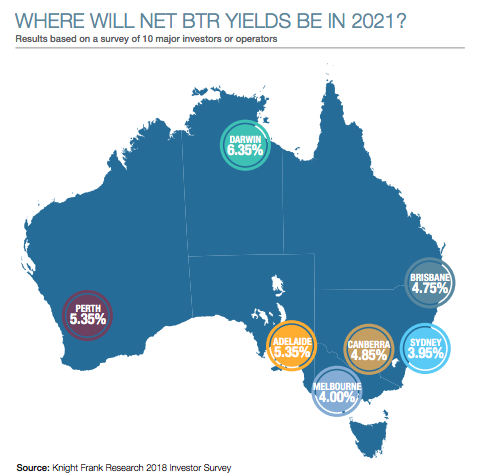 “Investors in Australia believe net yields for this type of rental accommodation could settle around 4 per cent by 2021,” Holtsbaum said.